That’s why we created this section. Within it you’ll discover three different and distinct products that really are in a class by themselves. We invite you to browse through these Specialty Products, maybe there’s one here that will capture a special place in your heart and in your home. 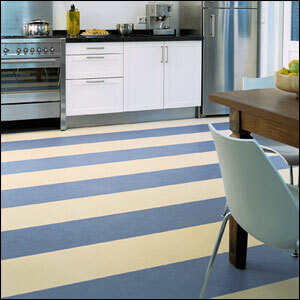 It’s enjoying renewed popularity as a flooring choice because it is made of natural materials. These natural materials include linseed oil, cork, limestone, wood flour and tree resins. One advantage of linoleum is the fact that the color in goes all the way through, making it extremely wearable and durable. 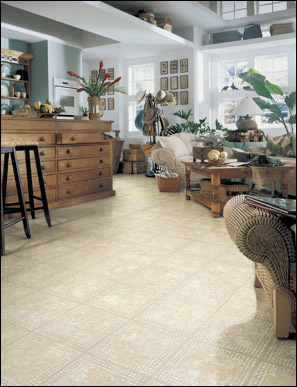 Linoleum is a quiet, warm surface that cushions your feet and requires minimal maintenance. Its main nemesis is dirt, grit or sand that can be ground into the surface. Utilize walk-off mats or rugs whenever possible, and sweep clean. It is a natural product, so even if finished in color or left natural, it will show variations in characteristics, tones and shades. 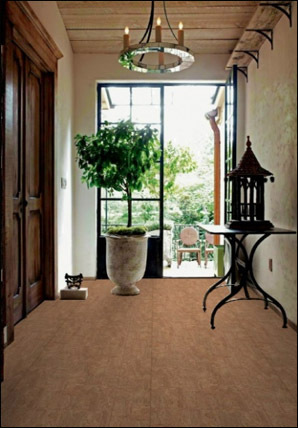 Cork flooring is warm to walk on and extremely quiet with natural sound absorbing qualities. It’s also naturally hypoallergenic and naturally resistant to mold and mildew. Great advantages one and all. It also resists dents and stains and its waterproof surface has an anti-slip finish.